Mars is in your relationship sector mid-August through September, and this can give you more energy and drive to focus on the people in your life. You can be open to commitment and compromise, and want to keep the peace. You can feel better with company than alone, and can be open to partnerships. If single, you may want to find someone who will be commitment-minded, while if in a relationship, you may want to strengthen your connection. Mars is in your love sector mid-May through June, and you can be more romantic, affectionate, and playful in love. If single, you can enjoy dating, romance, and may not want to tie yourself down quickly. If in a relationship, you may want to make it feel like it did when you first met again. A solar eclipse occurs in your love sector July 2nd, and this can increase romance and make you want to connect to your heart and the hearts of the people you love, but Mercury retrogrades (appears to move backward) in the second half of July, and this might bring out some love issues that need to be resolved. You may deal with someone who acts a little dramatic and wants attention, or you may be the one acting that way. It can be a good time for reconnecting with old flames and past loves though. Mars is in your intimacy sector October through mid-November, and you can share more with the people you care about, work on improving emotional and physical bonds in relationships, and can take your relationships much more seriously. Sign up for the mini e-book, Intuition Influencers, and start learning about the astrological players for intuition! Jupiter is in your career sector for most of the year, and this can be great energy for focusing on your goals and ambitions, hitting your stride or hitting a high point, getting recognition and praise, being in the public eye, making good impressions on the right people, and achieving what you’ve been working hard and smart at. You can pursue opportunities for success, and you can make things happen for yourself. You can see years of hard work pay off, and if you began something from the bottom about 5-6 years ago, that can culminate now. A lunar eclipse occurs in your work sector January 21st, and you can finish up work projects, finalize work arrangements and agreements, or focus on letting go of work that you’re not emotionally invested in and pursue work that you’re passionate about. Mercury retrogrades in your work sector the first half of July, and you can do some editing, revising, revisiting, and it can be good to pick old work back up. You can reconnect with people you’ve worked with or for. But focus may be difficult and you may need to give yourself lots of time to get things done. Mars is in your work sector July through mid-August, and you can come out of the retrograde with greater energy and drive for getting things done, and feel much more productive and focused. You can take a lot on, and you can pursue work opportunities available to you. Uranus is at the end of his time in your money sector, leaving in March, and Mars is in your money sector to start the year until mid-February. Uranus has been here for almost a decade, and you’ve likely had to undergo a lot of financial instability and changes. 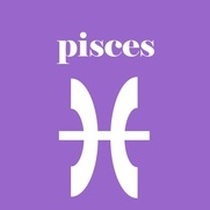 That can finally start lifting with Uranus moving into Taurus, and any last-minute financial changes or opportunities you want to push through, you can try the first couple months of 2019. Mars is in your home and family sector April through mid-May, and you can spend more time at home or with family, plan family gatherings or outings, give more attention to your family and offer more support, make improvements at home, move, or make other changes to your home base so it’s more comfortable and you feel more connected to it. Having a solid home base can be more important for you, and you may need itso you feel emotionally safe and secure and stable. This may be a good time to remodeling or renovating, doing home improvements, or trying to reconnect with your family. You can be more nurturing and supportive, and may look for the same thing in return. Uranus moves into the sector ruling your mind in March, and this can open up your mind in a big way over the next decade. You can become interested in unusual subjects come up with unconventional ideas, push yourself outside of the box mentally, and can be attracted to original thinkers. You can find new ways of communicating and expressing yourself, and you can gain new insights into yourself and the world. You can think bigger, more about the future, and may be more idealistic at times. Mars is in this sector to kick it off mid-February through March, and you can have a more active mind with lots of new ideas and plans, and can have the energy you need to take action with those plans. Mercury retrogrades in the sector ruling your higher mind the first half of November, and you can focus on learning or teaching something again, have to defend your beliefs, and it may be good energy for going back to school. Mars is in this sector mid-November to the end of the year, and you can be open to learning, teaching, writing, speaking, and want to get out into the world so you can learn through experience. You can be more optimistic, focused on the brighter side of life, and open to possibilities. Neptune remains at home in your sign for 2019, and you can continue to feel more at home with your spiritual self, your intuition, and work on connecting to your subconscious. You can be more compassionate, charismatic, and empathic, and continue to do more for others. Make sure you’re taking care of yourself too! Tend to your own needs, especially your soul needs, and turn inward when you need to take care of yourself spiritually. Mercury retrogrades in your sign in March, and this might be the time of year when you feel like things are going all wonky, and you have lots of little things that you need to work on. Try to give yourself lots of time to get things done, try to avoid anything too big if you can until you’re more able, and try to be more patient with others and with yourself. This can be a great time for a second chance, so if there’s something you’d like to do over again or try again, you can try to do that during this retrograde period.